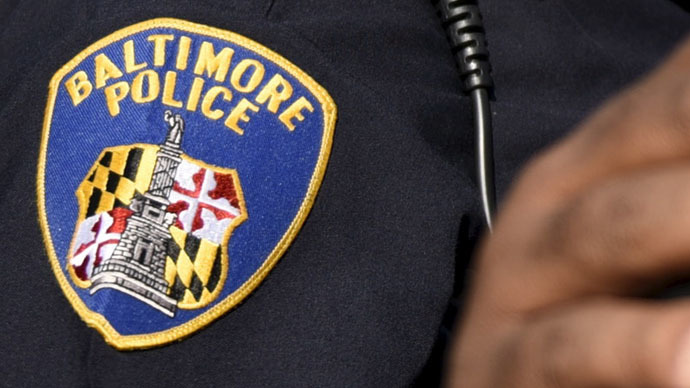 The Department of Justice is investigating the Baltimore Police Department over allegations that officers routinely use excessive, sometimes deadly force, conduct unlawful arrests and engage in discriminatory policing. From Justice Dept headquarters in Washington, DC on Friday, US Attorney General Loretta Lynch confirmed that the DoJ has officially opened a probe concerning the police force upon being urged by Baltimore Mayor Stephanie Rawlings-Blake to see if federal investigators can find further evidence of wrongdoing after charges were brought in last month’s death of Freddie Gray, a local man who died in police custody. Lynch said the DoJ will examine “whether the Baltimore Police Department has engaged in a pattern or practice of violations of the Constitution or federal law” starting immediately. She added that the DoJ investigation will differ from the federal government’s other interactions with the city’s police force in that it will involve determining whether officers violated the US Constitution and the civil rights of Baltimoreans. "Ultimately, this process is meant to ensure that officers are being provided with the tools they need - including training, policy guidance and equipment - to be more effective, to partner with civilians, and to strengthen public safety," Lynch said. Friday’s announcement came less than a week after Mayor Rawlings-Blake implored the Justice Dept to conduct an investigation of the force following Gray’s death. “Such an investigation is essential if we are going to rebuild trust in the community," she said. Lynch said the probe will examine policies, practices and available data relating to the Baltimore PD, and the results will be published in a report similar to one released last year about the Ferguson police. Gray, 25, died last month a week after he sustained injuries while in the custody of Baltimore police. He was arrested on April 12 for a charge that a state prosecutor has since declared to be invalid, and suffered several spinal injuries in the back of a police van while being transported. Marilyn Mosby, Maryland’s prosecutor for the city of Baltimore, has since announced charges against six of the officers involved in the incident. Last year, the officer-involved shooting death of Michael Brown, an unarmed 18-year-old black man, prompted the DoJ to investigate the police department in Ferguson, MO. The report, published in March, “revealed a pattern or practice of unlawful conduct within the Ferguson Police Department that violates the First, Fourth and Fourteenth Amendments to the United States Constitution,” according to the report.